Conceptis Pic-a-Pix, developed by Conceptis Ltd., is a great little app that offers a range of totally addictive pixel puzzles. While it does suffer from some slightly awkward, confusing controls, this puzzler is still worth trying out. Conceptis has a huge array of puzzle titles, including sudoku, Link-a-Pix (picture logic puzzles), and Fill-a-Pix (the original Conceptis puzzle type.) 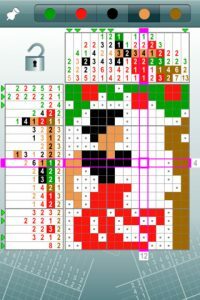 However, the amount of free puzzles that come with Conceptis Pic-a-Pix is somewhat disappointing: while there are plenty of puzzles you can purchase, it would be nice if there were a few more advanced puzzles to help get players fully hooked to the gameplay. Conceptis Pic-a-Pix comes with 42 free Pic-a-Pix puzzle samples in B&W and color. If you play on your iPad, you also get 8 bonus puzzles. However, user reviews suggest that Conceptis could be doing a lot better when it comes to releasing updates with fresh content to keep puzzle fiends satiated. 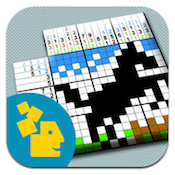 That being said, the puzzles in Conceptis Pic-a-Pix are highly addictive. 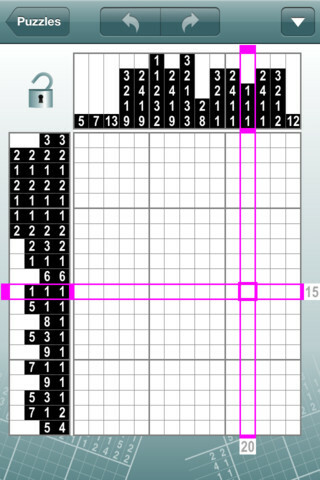 Each puzzle consists of a blank grid with clues on the left of every row and on the top of every column. Your goal: reveal the hidden picture by painting each block using the clues to guide you. It’s tricky stuff, but gets easier the more you play. 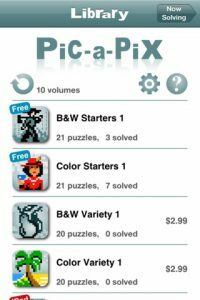 Bottom line: if you’re burned out on sudoku or other logic puzzles, Conceptis Pic-a-Pix for iPhone is worth a look, despite some relatively minor flaws. 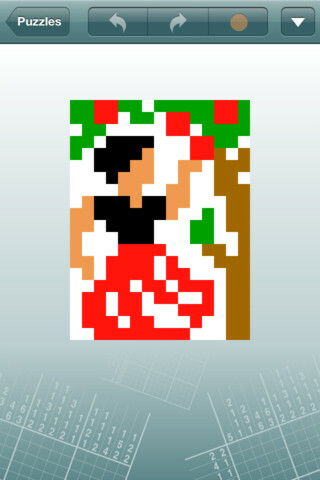 Conceptis Pic-a-Pixis compatible with iPhone, iPod touch, and iPad. Requires iOS 4.0 or later.